Dynamic Link Library (DLL) is a shared library concept implemented by Microsoft on Windows platform. It uses Portable Executable (PE) file format which is same as Windows EXE files. These files will generally have extension of .dll and .ocx. 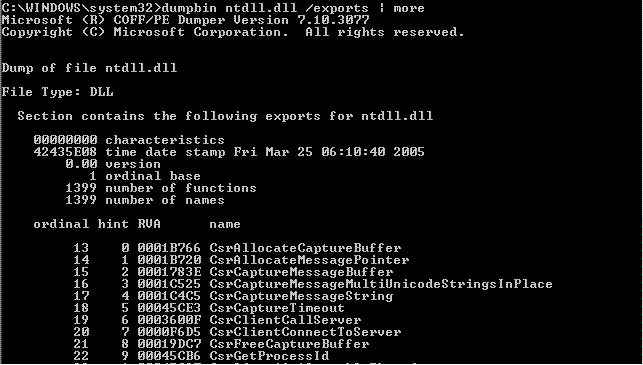 DLL can export both Functions and Data for using in other modules. Each process will receive separate copy of Data, but same copy of code from DLL. Static library will merge functions into exactable file by linker. Implementation code will be located in .lib file. When we link with static library, it increases the size of executable. By using this method we can eliminate the loading any code dynamically during run-time and this might even improve performance in some cases. Disadvantage of this method, it increases the duplication of code in all executable file who ever refers this library. Dynamic library will have set of functions and data. During linking, compiler will add stub (just a pointer to a DLL) in EXE file to call a function of a DLL. Using this method user can separate all common used functions and place in DLL. This can be referred from multiple applications and only 1 copy exists both in memory and HDD. Disadvantage of DLL is it will not solve versioning problem. Load Time dynamic linking: Module makes explicit calls to exported DLL function and it looks like as if the function located locally. This required you to link a .lib file which is generated during the creation of DLL. This import library supplies all the information to load a DLL and locate the exported function when application is loaded. When we launch an application it loads all DLL’s which during loading of application, if Loader fails to locate a DLL, it will display error message saying “unable to locate DLL” and then stops launching application. Run-time dynamic linking: To use this method we need to know prototype of a function and we can load any specific DLL using LoadLibrary() function. Once we load a DLL we get a handle to use for getting address of a function in memory and use it. To get address of a function we have to use GetProcAddress() function. FreeLibrary () function is used to unload DLL from memory. Multiple processes can load same DLL at the same base address or different base address and still share same physical copy of DLL in memory. This saves memory and reduces swapping. When a function change within a DLL due to bug fix or any other improvements, application don’t need any recompilation or re-linking. But, function parameters, calling convention, return values should not change. Programs written in different language can call the function of a DLL, as long as the calling convention is same. Relative Virtual Address (RVA) : This address represents a relative address within a file on HDD. When it loads into memory, if we add this RVA address to base address where the DLL has loaded, we can get the actual address of a function in memory. We can pass either ordinal or a function name to GetProcAddress() function to get a function address in memory. Sharing the same physical page happens only if both of the process maps the DLL into same virtual address of respective process. Using the Copy-On-Write protection flag, it will identifying if any of these process is trying to write into DLL memory. 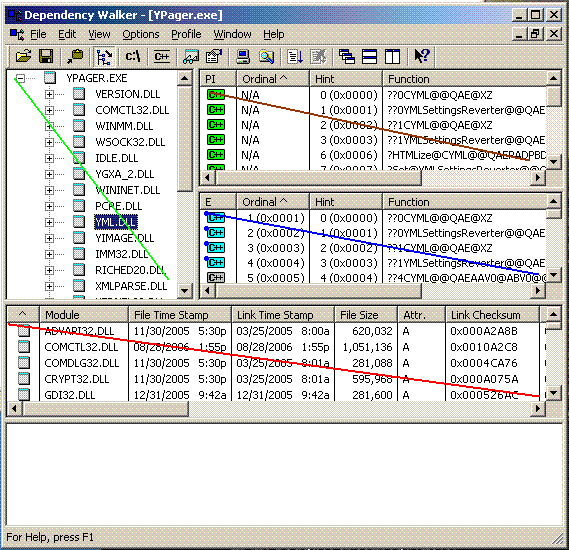 For some reasons if one of them fail to load into default base address and loads somewhere else Copy-On-Write protection forces some of DLL pages code to copy to different physical page due to fixes of jump instructions are written within the DLL’s page and they will be different for each process. If the code section contains many references to data section, this might cause to have entire code section to be copied to new physical page. Earlier day’s common problem during installation of product is overwriting a DLL in windows directory just to make there product works in a system; this causes a problem of overwriting the DLL of existing and make other product unusable including OS application itself. Third party develops a library which does compression and sells for various companies, these companies using this DLL they will solve there business problem and ships the products for customers. App1 and App2 will install in end-user system which uses this compression DLL. After some time, changes happen in Compression library it can be bugs fixes or some more feature addition. App1 will ship with new Compression library and installs in the same end user system by overwriting the old compression DLL in system. App2 will not run due to several reasons like old function which is exported from a compression DLL prototype might have changes, return value might have changed, calling convention might have changed or function name itself might have changed. This is the main disadvantage of DLL and fails in maintaining the versions of DLL. One option to solve this problem is to name different version of DLL like mfc40.dll, mfc42.dll, mfc71.dll, etc.. This kill’s all advantage which is provided by DLL like sharing same physical page in memory and space in HDD. This is how COM/DCOM born to solve versioning problem along with other problems. To prevent overwriting system DLL’s since win2000, it has brought method of Windows File Protection (WEP). Only OS packages can update these DLL’s and not 3rd party applications. When you replace different version DLL in windows\system directory, it will not display any error message to you, but it will silently replace the same DLL with original DLL. All the original DLL’s it will keep in windows\system32\dllcache. This is how DLL hell (it means loading one program will break another) problem is reduced and may not go completely, since you can bypass this WEP protection too by changing a key in registry and many malware programs do it.